It breaks my heart to write this, just days after my last post but our darling Daisy Doos has finally lost her brave battle against egg peritonitis. Her little body, weakened by her time in the cage had no strength to fight the scars her previous life had left behind. I first met Daisy Doos when I was helping on a rehoming day. I was blessed to be chosen by this scrawny, tiny featherless girl who kept sitting between my feet, making me trip over and generally following me around. So naturally she came home with me that evening, along with an equally fragile soul who told me her name was Dolly. Both girls spent a few days in the greenhouse sleeping in a cat basket until we could sort out the sleeping situation as all the other coops were full. Gary despaired at my bringing home more precious babies but as he tucked them down that first night, Daisy Doos nestled down between his feet and went to sleep. Then he understood. We kept a very close eye on our special girl, she had good days and bad days but every day she was watched for any sign of distress. But suddenly, last Sunday, her little belly swelled up overnight. We rushed her to the vets on Monday to have it drained – Aunty Gina drained 100ml of fluid from her abdomen. We had hoped this would at least alleviate her pain for a while and give her few more days enjoying the Cornish sunshine. However, the next day our girl was still in pain and by Wednesday when she refused to have her morning medicine (a resolutely, tightly clamped beak is very hard to open), looking into her eyes I knew she had had enough. Our last resort had not worked and I was faced with that Worst of Decisions. However two hours later Tom called me home from work as Daisy had collapsed. She died a few minutes later in my arms with the sun on her face, being stroked and talked to…I hope the last words she heard were that I loved her and that she was a good and beautiful chicken. We cremated her little body, tucked up in a flowery blanket with a big beautiful ox-eye daisy picked from the garden, just as the last throes of a glorious pink Cornish sunset lit up the sky; seeing her off to the Rainbow Bridge in style. Each hen we lose, it just seems to get harder. 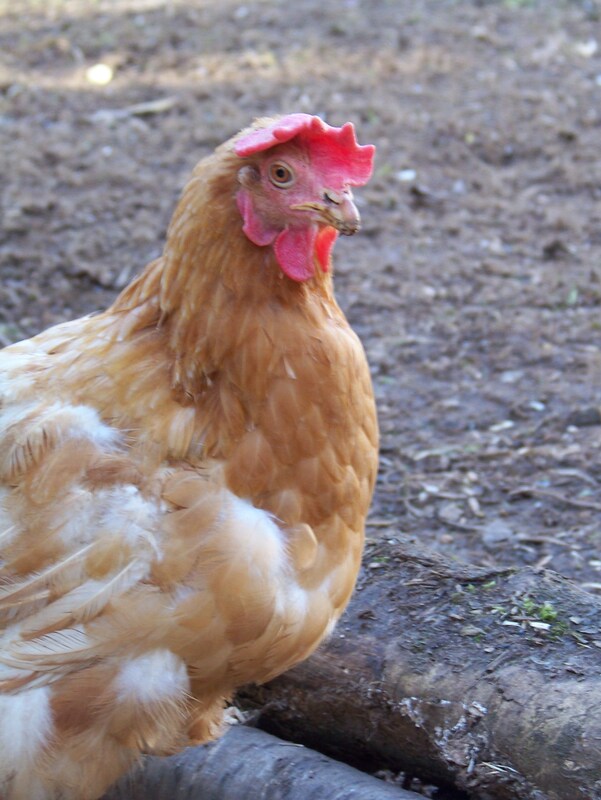 Each chicken is not just a hen but a special, individual girl with a character and a soul and a great big brave heart that battles for survival and responds to love and kindness. As I cradled her dying body I cursed this wretched and cruel intensive system that abuses these beautiful gentle girls, and other wonderful creatures, and causes such suffering. My girl Daisy Doos was one of the lucky ones, she felt the sun on her feathers but she died too soon, there was so much more life for her to enjoy. But as her little spirit soars around the Rainbow Bridge, pain free, with resplendent tail feathers and together at last with her darling friend Dolly, I know she sees us trying to find homes for her sisters in the intensive system and she is smiling down on us. Today our darling Daisy Doos celebrates one whole year of free ranging!! 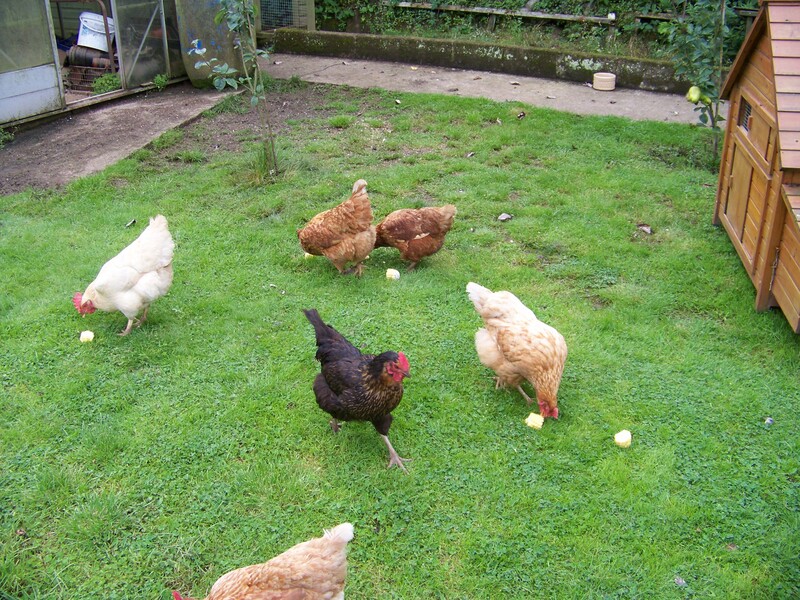 So a new coop – the palatial Henderlay – was commissioned and when the big girls moved in there, Daisy Doos and Dolly took up residence in one of the smaller coops. Very soon the D girls were also enjoying the luxury of Henderlay. Daisy Doos celebrating in style! It hasn’t been all plain sailing though. 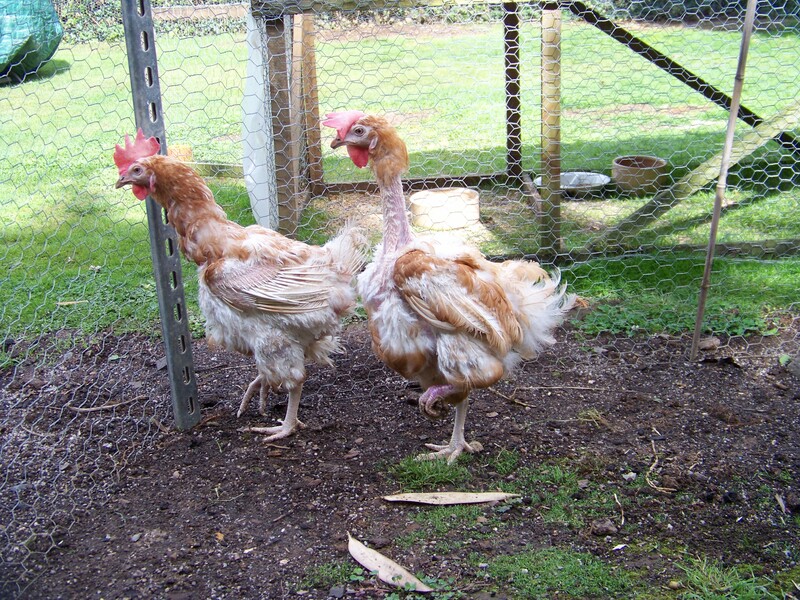 Daisy remained featherless for months and even today is still growing her tail feathers! 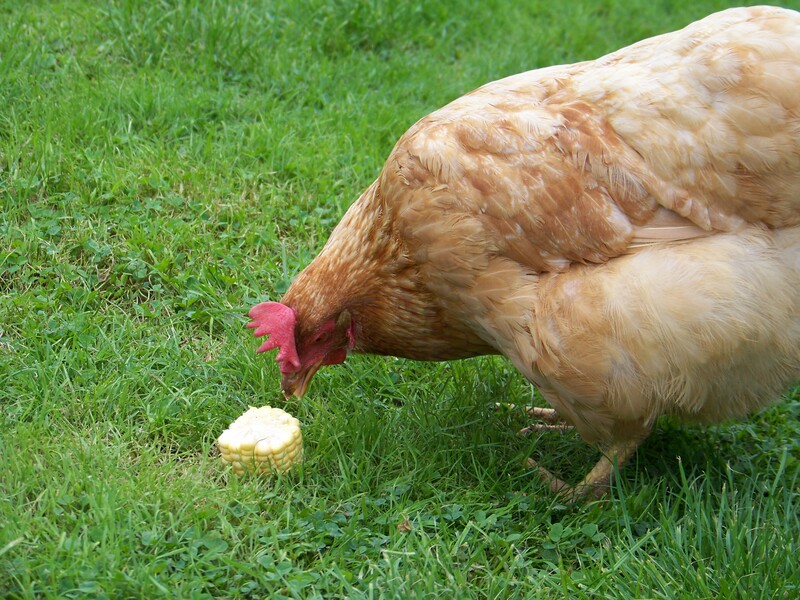 She has also had eggy issues and is currently battling egg peritonitis, poor girl. She does however look even more beautiful than on the day she chose me! But we must remember darling Doll who also suffered terribly with eggy issues and despite an implant relieving the situation temporarily, passed away very suddenly and tragically on our Black Weekend in March. We shall light an extra candle on Daisy’s cake for Dolly. The party in full swing!! Effie has been quite hormonal recently, after her implant. She was rather off colour for a while and started a moult. Poor baby has even lost all her tail feathers – although one very sweet Effie fan offered to send her some of her own chicken’s feathers in a hair clip so Effie could attach chicken tail feather extensions! 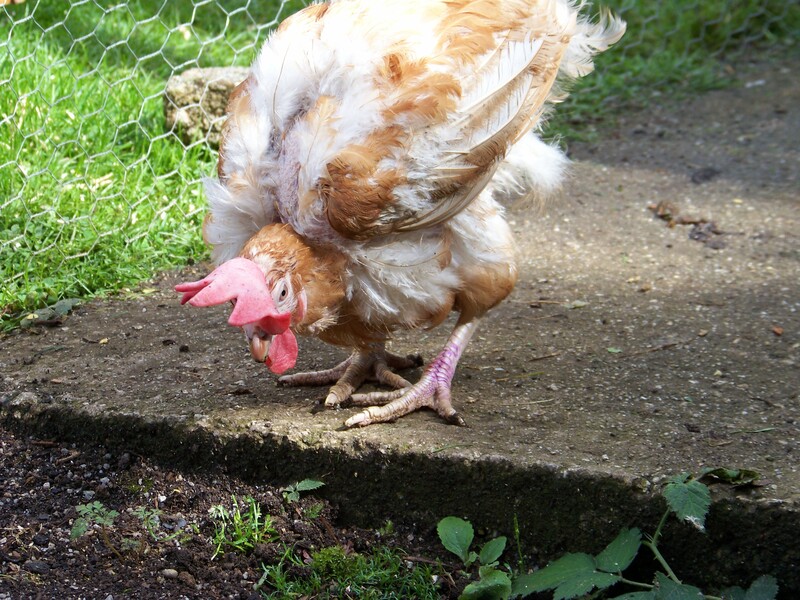 She has however now stopped moulting and has got back both her appetite and her joie de vivre! !